A comfortable environment for larger groups on long or short-haul flights. 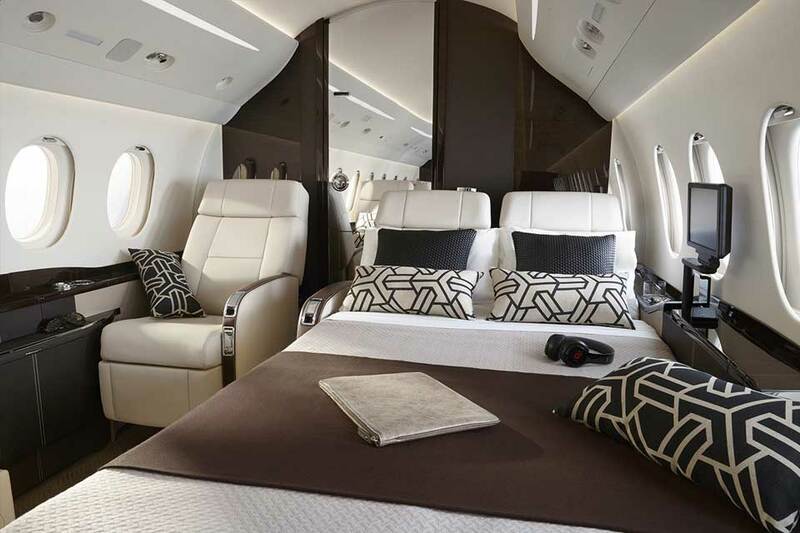 With its generous and sleek cabin space, the aircraft is ideal for working or relaxing during your journey. 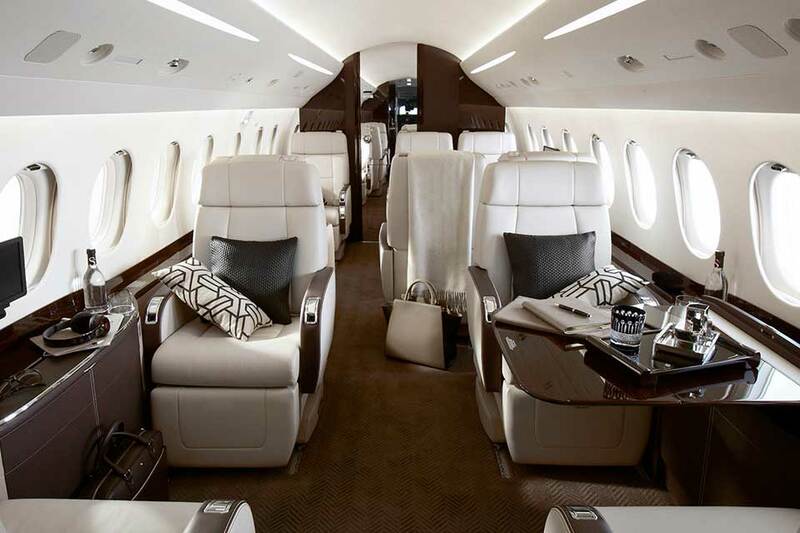 Seats between 8-13 passengers and can fly for approximately 6.5 hours. 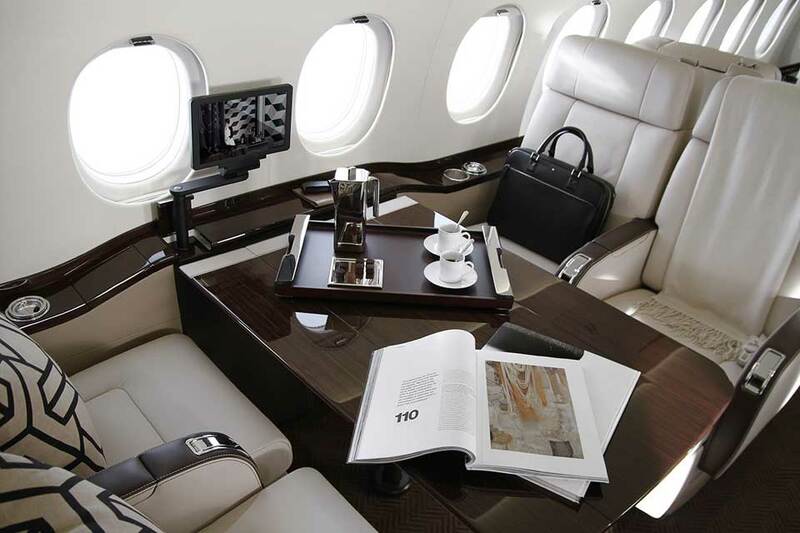 Make use of state-of-the-art multimedia entertainment systems and in-flight phone system during your charter flight, allowing you to continue with your business from the air. Our cabin crew will add to your comfort by serving you food and drinks. Overall passenger comfort is top notch because its cabin cross-section is second only to the wide-bodied Challenger 605 in this range class. The main seating area can be as long as 22 ft., depending upon customer choice of forward galley and aft lavatory layouts. That allows it to be divided into two sections. The forward seating area almost always is configured with four club chairs. Most aircraft are configured with one of three layouts in the aft cabin. The most popular configuration features a four-seat conference grouping on the left and two facing chairs on the right side. In a normal configuration of eight passengers, seating is arranged with three across and an aisle, and also divided into forward and rear lounge areas. Two seats can fold down flat, to enable comfortable napping in bed-like form. 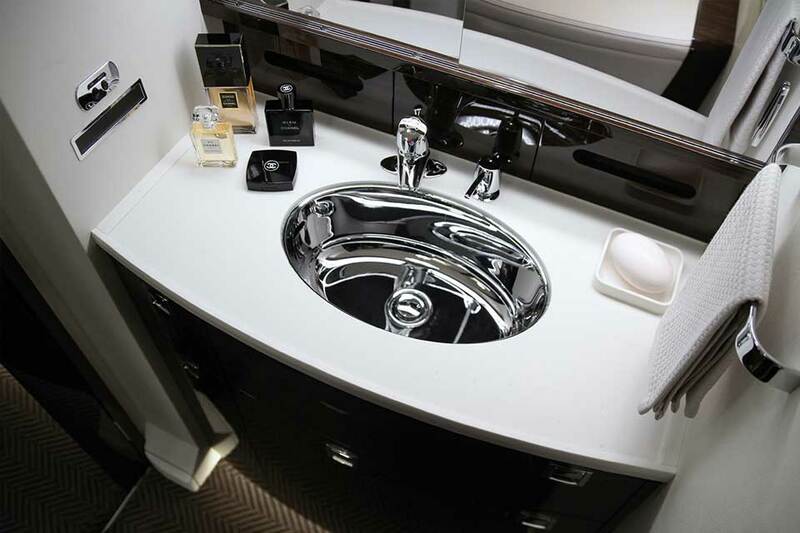 A stand-up lavatory and 134 cubic feet of accessible baggage space are additional features.